Channel filtering is a process when the user sets up a minimum and a maximum which can not be overextended by any color coordinates. The coordinates above the maximum will be converted to the limit such as those what are below the minimum. 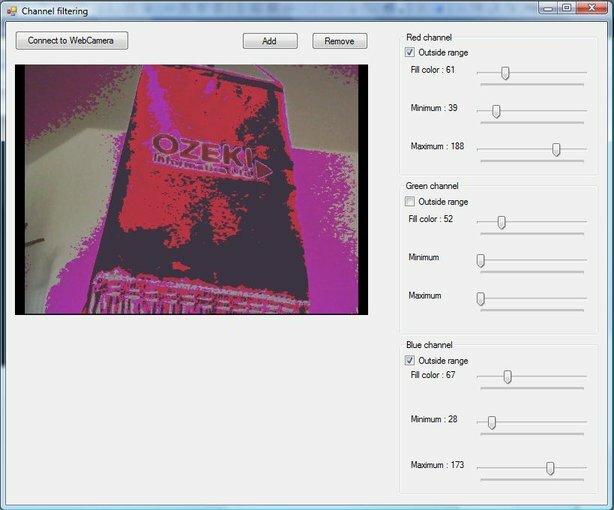 In this tutorial you will learn how to create your own color filter including a an image filter that sets the main theme of the image to further improve the capabilities of this filter using OZEKI Camera SDK. In addition to the previously explained fuctions, channel filtering has it's own functions as well. RedFillOutsideRange: This function sets the filling red coordinate values for the pixels which have their red coordinate value outside the limitations. GreenFillOutsideRange:This function sets the filling green coordinate values for the pixels which have their green coordinate value outside the limitations. BlueFillOutsideRange:This function sets the filling blue coordinate values for the pixels which have their blue coordinate value outside the limitations. FillRed: This function sets the filling red coordinate values for the pixels which have their red coordinate value inside the limitations. FillGreen:This function sets the filling green coordinate values for the pixels which have their green coordinate value inside the limitations. FillBlue:This function sets the filling blue coordinate values for the pixels which have their blue coordinate value inside the limitations. 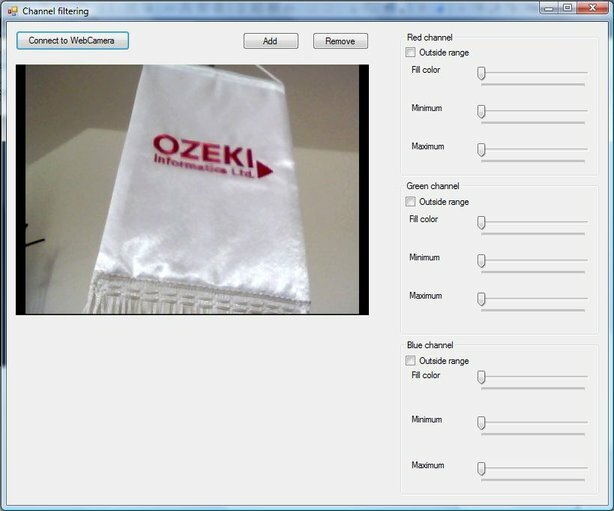 With the help of this lecture you can successfully implement channel filtering with your C# camera application using the Ozeki Camera SDK.